Sharon has an extensive background in office administration. Working in my hometown, seeing people I haven't seen in a long time and meeting new patients is a wonderful part of the job. It is truly a pleasure to be a part of Dr. Gietman's team. Sharon resides in St. Cloud with her husband Chad and dog Toby. Outside of the office, Sharon enjoys spending time in the Northwoods at their cabin, along with four wheeling, camping, and dining out. 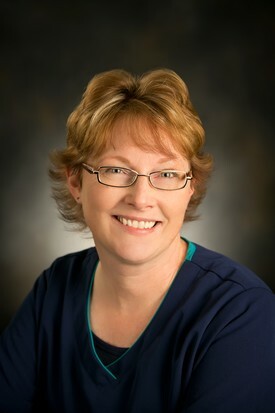 Jill is a graduate of UW-Oshkosh and Northwestern Technical College. 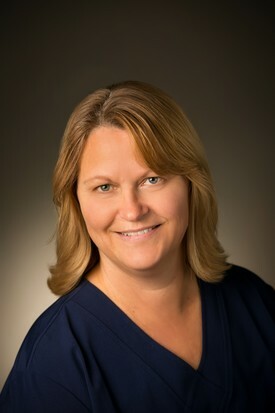 She has worked with Dr. Gietman for the past eighteen years. The best part of her job is educating and interacting with patients. "My patients always make me laugh and I try my best to leave them smiling too. Everyday patients present us with unique experiences. Working with Dr. Gietman is truly a pleasure. We have the same goal: to send our patients out the door happier, healthier and with the confidence they deserve." Jill and her husband, Mike, have two grown daughters, Caty and Kelly. As an empty nester, she enjoys camping, gardening, family get-togethers and cooking. Betty has a thirty year dental background. 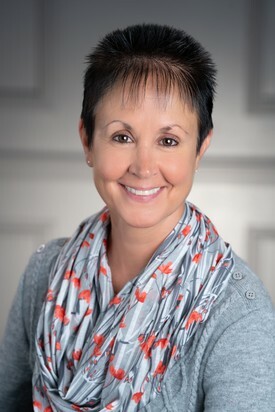 Her experience includes a broad knowledge of general dentistry, oral surgery and orthodontics. She has worked in the front office and as an assistant in all of these areas. Betty also has attended DOCS - Dental Organization for Conscious Sedation seminar in 2009 certifying her to assist in sedation dentistry. 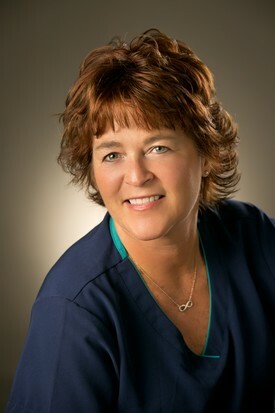 She has been working with Dr. Gietman for nine years. With the office being located in the middle of the "Holyland" she enjoys seeing family, friends and neighbors as patients on a daily basis. Betty resides in New Holstein with her husband, Randy, of 30 years and has 2 grown children, Ryan and Travis. Away from the office you will most likely find her "Up North" walking her precious dog, Emma, fishing, four wheeling, snowmobiling or reading a book. Jane is a graduate from Lakeshore Technical College's Dental Assisting Program. She is now in her nineth year working with Dr. Gietman. Being a part of an office that is committed to team work and professionalism provides Jane a work environment she feels proud to be a part of. At the end of the day as she is walking out the door, there is always a "Thank You" from Dr. Gietman, which makes for a great ending to the work day. Growing up in Mt. Calvary and seeing many familiar faces adds to her love of the job. In her free time, Jane enjoys spending her time with her precious grandson.